Former Unified Light Heavyweight World Champion Sergey “Krusher” Kovalev (30-2-1, 26 KOs) returns to the ring Saturday, November 25 at The Theater Madison Square Garden to take on hard-hitting contender Vyacheslav “Lion-Heart Chingonskyy” Shabranskyy (19-1, 16 KOs) in a ten-round light heavyweight showdown. 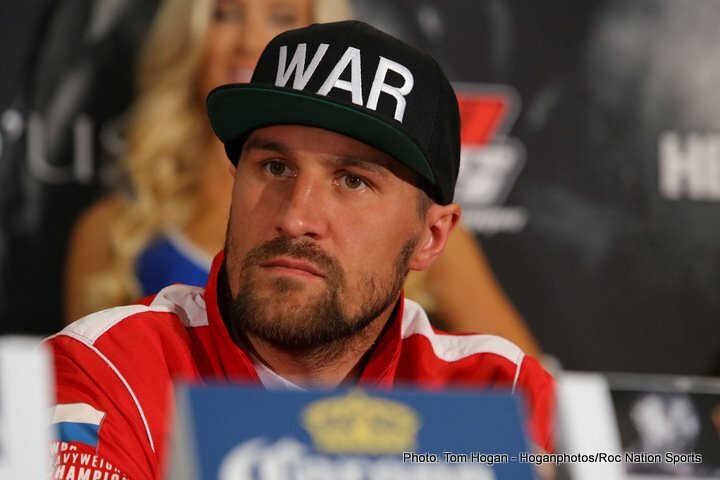 Kovalev vs. Shabranskyy will be promoted by Main Events and Krusher Promotions in association with Golden Boy Promotions, and televised live on HBO Boxing After Dark beginning at 10:00 p.m. ET/PT. Next boxing news: Mike Tyson movie “is going to happen” – how will the film rank alongside the greatest boxing movies?